Mined primarily in Sri Lanka, Germany, Brazil, Mexico, and the United States, topaz is comprised of the minerals aluminum and fluorine. Due to its rarity, red or pink topaz is given the highest market value. Did You Know? 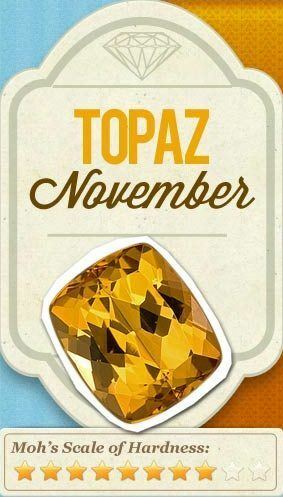 The most famous topaz is actually a colorless topaz that was originally thought to be a diamond. It is a 1680 carat stone known as the “Braganza Diamond” set in the Portuguese Crown Jewels.